Bats have frightened, awed, and inspired for millennia. 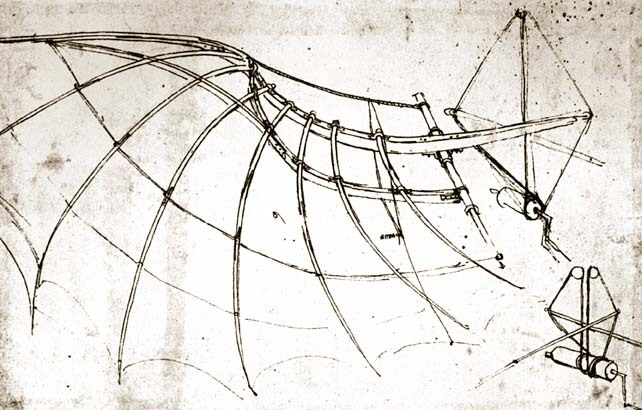 Leonardo da Vinci used the bat’s amazing wing structure as inspiration for his version of the ornithopter — a machine which flies using flapping bird-like wings. No one knows for sure if he ever built or tested his invention, but Cardanus, a contemporary of Leonardo wrote that he had tried, “in vain”, to get the orinthopter aloft. 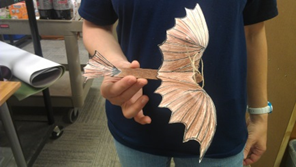 Here is a version of Leonardo’s creation that you can try your hand at constructing and flying. Our version is technically a glider, but looks much the same as Leonardo’s ornithopter design. Display the picture of Leonardo’s ornithopter and discuss how he came up with the design idea after spending a great deal of time observing birds. Study the bat specimen and/or bat pictures. 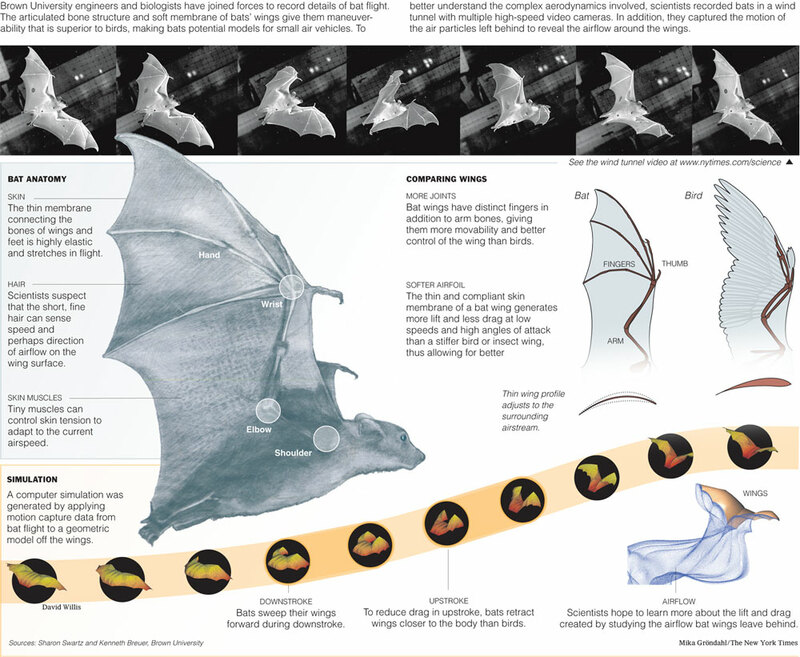 Compare and contrast the bat wings with the ornithopter wings: Are the wings more bird-like or bat-like? Color a large craft stick using a brown marker. Color the wings and tail on the orinthopter template and carefully cut out the pieces. Give the wings shape by closing the small V-shaped notch on each wing so that both pieces touch and then securing on the underside with transparent tape. Using craft glue, attach the wing and tail pieces to the craft stick as illustrated by the picture below. Allow time for the glue to dry. Next, bend the wings up along the large V in the wing pattern and carefully crease. 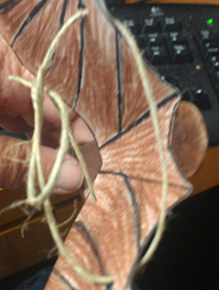 Use a 1/8th inch hole-puncher to make small holes just to the inside where the wings were taped to give them shape. Use a piece of thin string to create a loop through the holes with a loose knot to secure it in place. This serves to keep the wings from spreading too far and to adjust the wings up when tightened. It’s time to test the ornithopter! Make different sized paper clips available. Use these to properly distribute the weight of the ornithopter for better flight. Spend time re-engineering the after the primary test flight.